The Spray Station 5500 is a semi-pro unit designed for light contractor, serious woodworking and automotive enthusiasts. 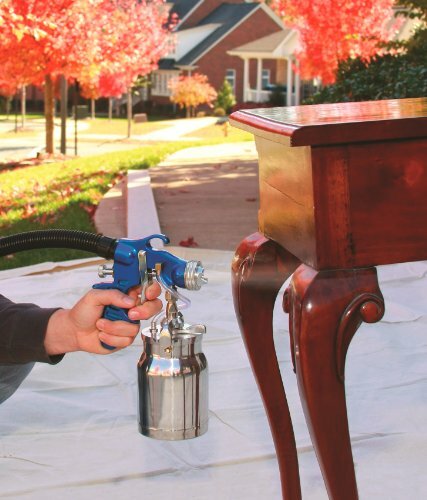 The professional gun and the powerful turbine make the Spray Station 5500 a perfect tool to achieve that showroom finish on cabinets, furniture and even cars. For contractors, interior or exterior trim, doors, shutters and many other small to medium size jobs can be completed faster using less material in the process. The 5500 includes a 650-Watt turbine that generates 42 CFM and 2.2 PSI, 13-Feet hose and 5.5-Feet power cord. 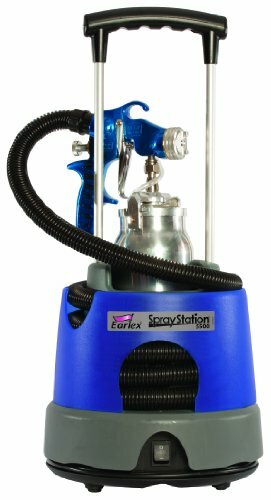 The lightweight Spray Station 5500 features on-board storage for the pro spray gun, hose and cord and includes a carry handle for easy portability. 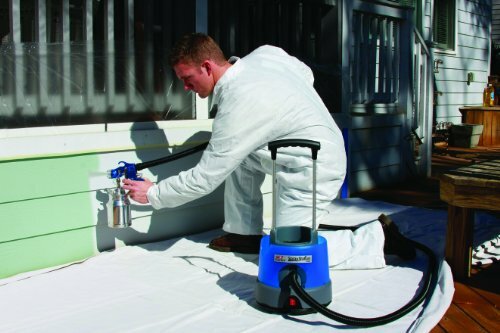 The durable professional spray gun comes complete with a 2.0mm stainless steel tip and needle and a 1 qt. PTFE coated paint container with quick release lever. The pro-gun features a Fast "Push N Click" 3 spray pattern changing system, paint volume control dial and a dynamic control action trigger. Complete a multitude of projects with a large variety of materials including thinned latex, lacquers, urethanes, varnishes, oils, shellacs, stains, sealers, enamels, glazes and many more.